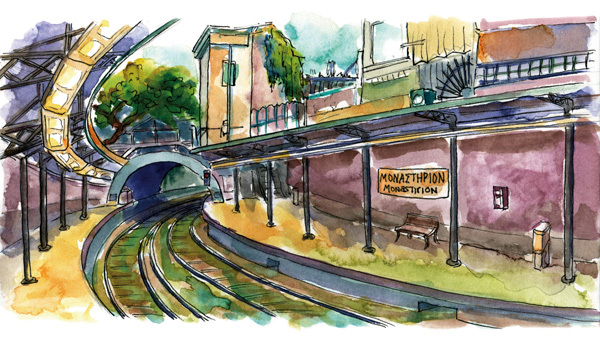 After a day of museums and drawing, we board the Metro at MonastirionÂ Station and head up to a suburb called Kifissia, in the northern part of Athens. We meet with Irene, a Greek friend of my dadâ€™s whom he met playing online Scrabble a couple of years ago. She treats us to dinner at one of her favorite Greek tavernas: Greek salata, fish, fried cheese, spanakopita, and of course, Greek white wine. The wine is nicely balanced with grassy and citrus aromas and a touch of oak. 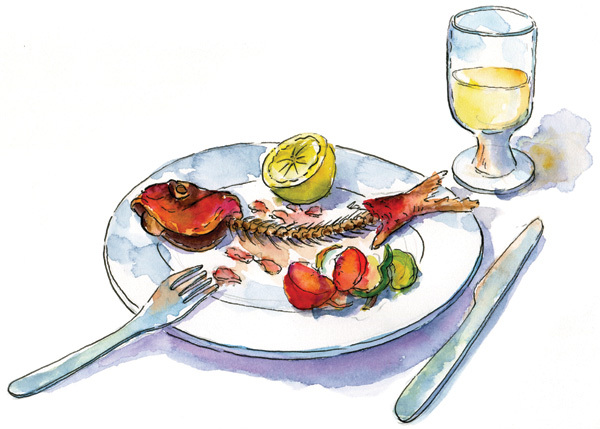 I feel lucky to be treated to a delicious dinner and to have made a new friend. October 5, 2010 March 29, 2013 richardComments are off for this post.